Below you fill find all funeral homes and cemeteries in or near Lamesa. Suburbs of Lamesa: La Mesa. Lamesa is also known as: Dawson County / Lamesa city. Their current mayor is Mayor Dave Nix. Zip codes in the city: 79331. Dawson County funeral flowers can be purchased from one of the local funeral shops we partner with. Some of the notable people born here have been: Steve Freeman (american football player), Edward R. Tinsley (businessperson and attorneys in the united states), and Brad Cornett (baseball player). Lamesa (/ləˈmisə/ lə-MEE-sə) is a city in and the county seat of Dawson County, Texas, United States. The population was 9,422 at the 2010 census. Located south of Lubbock on the Llano Estacado, Lamesa was founded in 1903. Most of the economy is based on cattle ranching and cotton farming. The Preston E. Smith prison unit, named for the former governor of Texas, is located just outside of Lamesa. It was disclosed by Fresno Bee on September 2nd, 2018 that Rheba Faye Bunch (Dudley) passed on in California. Ms. Bunch was 92 years old and was born in Lamesa, TX. Send flowers to share your condolences and honor Rheba Faye's life. It was noted by Peoria Journal Star on August 28th, 2018 that Brenda G miss Herring passed away in Peoria, Illinois. Herring was 65 years old and was born in Lamesa, TX. Send flowers to share your condolences and honor Brenda G miss's life. It was reported by Kalamazoo Gazette on March 18th, 2018 that Hershall "Floyd" Bennett passed away in Kalamazoo, Michigan. Bennett was 86 years old and was born in Lamesa, TX. Send flowers to express your sympathy and honor Hershall "Floyd"'s life. It was disclosed on October 22nd, 2017 that Gary Don Hodges died in Edgewood, Kentucky. Hodges was 70 years old and was born in Lamesa, TX. Send flowers to express your sorrow and honor Gary Don's life. It was written on July 7th, 2017 that Margaret R Hodgson (Batchelor) passed on in Tulsa, Oklahoma. Ms. Hodgson was 62 years old and was born in Lamesa, TX. Send flowers to share your condolences and honor Margaret R's life. It was written by South West Times Record on July 7th, 2017 that Lonnie Frank Carter perished in Mena, Arkansas. Carter was 69 years old and was born in Lamesa, TX. Send flowers to express your sympathy and honor Lonnie Frank's life. It was disclosed by Tri-City Herald on May 19th, 2017 that Eseqiel C "Easy" Lopez died in Richland, Washington. Lopez was 66 years old and was born in LaMesa, TX. Send flowers to share your condolences and honor Eseqiel C "Easy"'s life. It was noted by Orange County Register on April 5th, 2017 that Billie Jean Flemins (Hoffman) died in Laguna Woods, California. Ms. Flemins was 89 years old and was born in Lamesa, TX. Send flowers to express your sympathy and honor Billie Jean's life. It was revealed by Orange County Register on December 6th, 2016 that Merna Jeanne Denmark passed on in California. Denmark was 86 years old and was born in Lamesa, TX. Send flowers to express your sympathy and honor Merna Jeanne's life. It was disclosed by Mt Shasta Herald on September 21st, 2016 that Fred Leon "Jack" Bartlett passed on in Mt Shasta, California. Bartlett was 88 years old and was born in Lamesa, TX. Send flowers to share your condolences and honor Fred Leon "Jack"'s life. Smith prison unit, named for the former Texas governor, is located just outside of Lamesa. Located south of Lubbock, Texas on the Llano Estacado, Lamesa was founded in 1903. 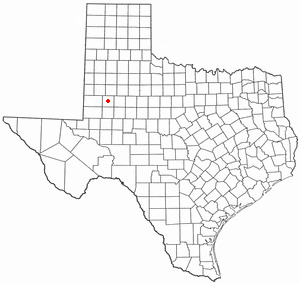 Lamesa (pronounced "la-MEE-sa", "la-MEE-suh") is a city in and the county seat of Dawson County, Texas County, Texas, United States. The population was 9,952 at the 2000 United States Census census. Most of the economy is based on cattle and cotton. A celebration of life will be at 10 a.m. Monday at Resthaven Funeral Home. Inurnment Resthaven Memory Gardens ... sister, Lorraine Johnson of Lamesa, Texas; grandsons, Ryan Morgan, Tyler and Justin Wilkinson-Greenly and great-grandson, Paxon Greenly. Listing all funeral homes in Lamesa, Texas so you can easily send flowers to any location (same day delivery) or find any funeral service. Funerals in Lamesa, TX on Yahoo! Local Get Ratings & Reviews on Funerals with Photos, Maps, Driving Directions and more. Gonzales, Bobby G - Gonzales Funeral Home, Lamesa, TX : Reviews and maps - Yahoo! Local, 806.872.8878. Get Ratings, Reviews, Photos and more on Yahoo! Local. We work with local florists and flower shops to offer same day delivery. You will find budget sympathy flowers in Lamesa here. Our funeral flowers are cheap in price but not in value.